Developed by Ache Bit. Published by Surprise Attack Games. 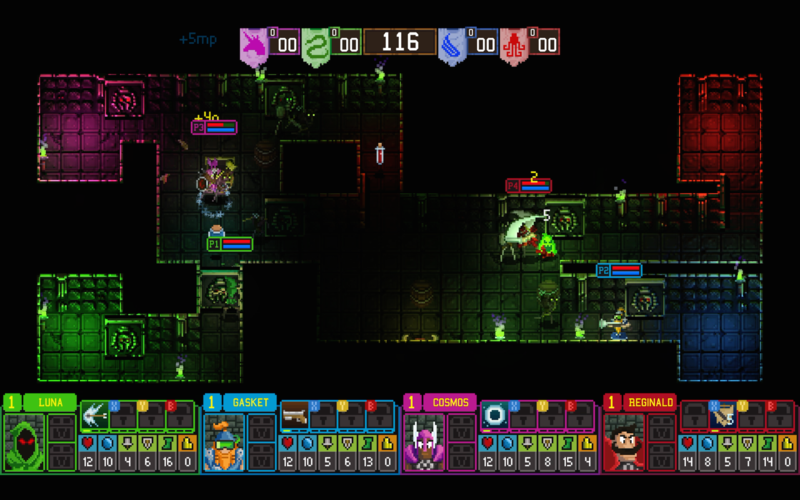 Available in Steam Early Access for $9.99 on PC, Mac, and Linux. 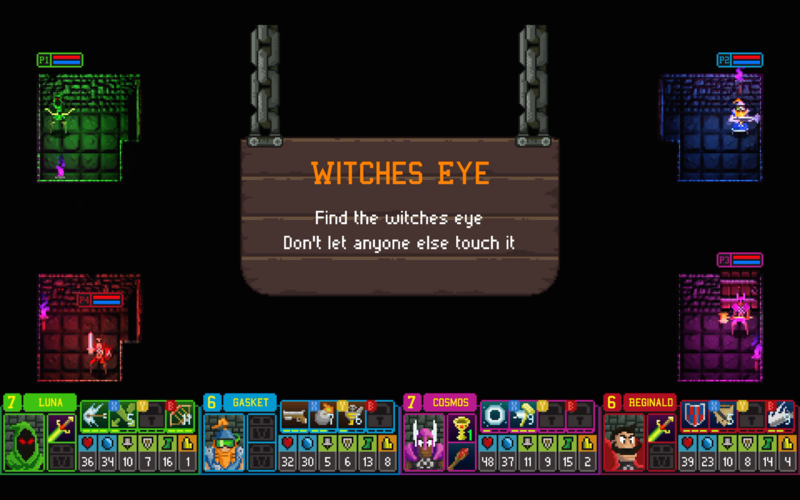 Code provided by publisher. 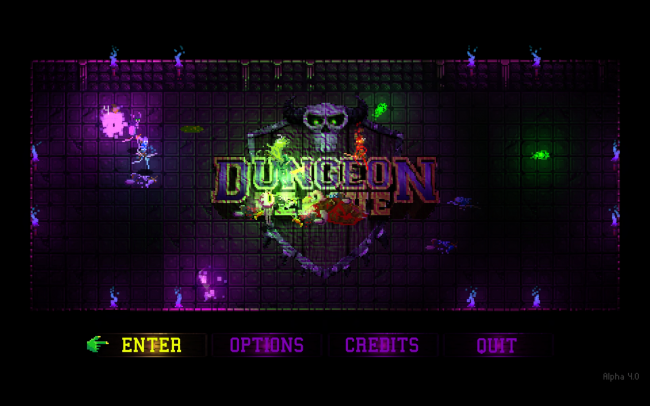 Dungeon League is a game meant for in-person competition, pitting teams against each other in an bid to win a best of five match. 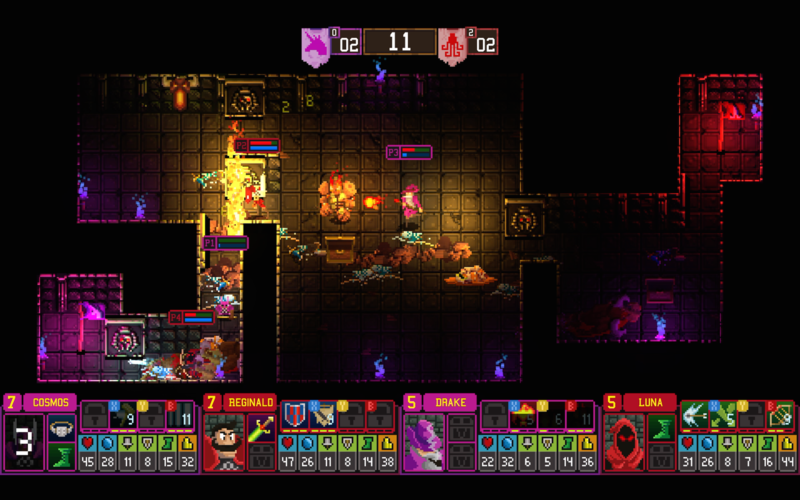 It's a top-down, pixel-art, competitive dungeon crawl. There are several heroes to choose from, covering the gamut of fantasy character archetypes - wizard, warrior, and ranger, for example - as well as some particularly silly characters, like the unicorn with abilities such as Rainbow Dash. Each character has a default skill progression that you can optionally customize before each match, in case you favor a particular skill upgrade path. Equipment is handled similarly, with a preset gear order. Leveling during a match automatically upgrades your skills and gear as per your chosen path. If you've played recently, these might come as a surprise since a recent update changed the manual skill and equipment upgrades between rounds into an automatic system to keep the game focused on action, rather than inventory management. 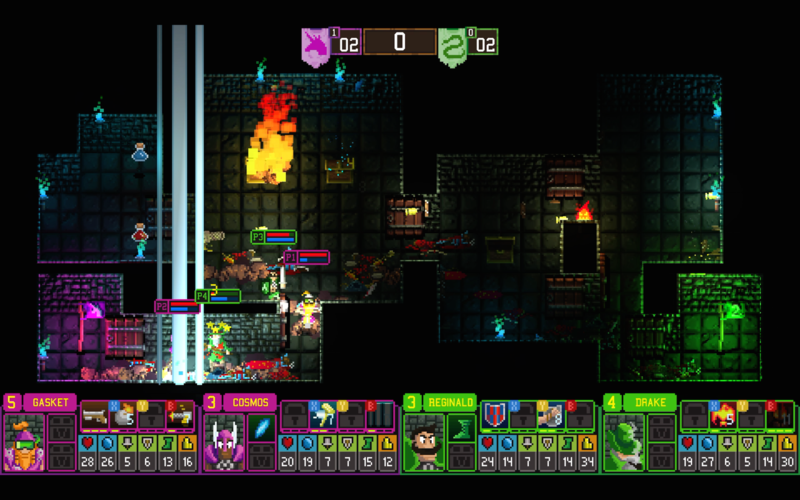 The teams will be dropped into different rooms across the dungeon from one another, and must fight off an endless stream of enemies while simultaneously trying to complete the round's objective. 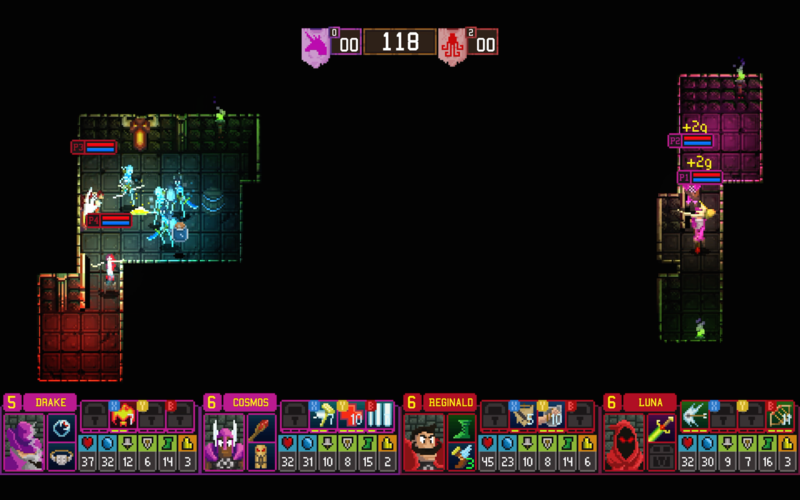 The dungeon maps are randomly generated, so you're exploring along the way, though the maps do tend to be fairly small, consisting of only a dozen or so rooms to navigate. 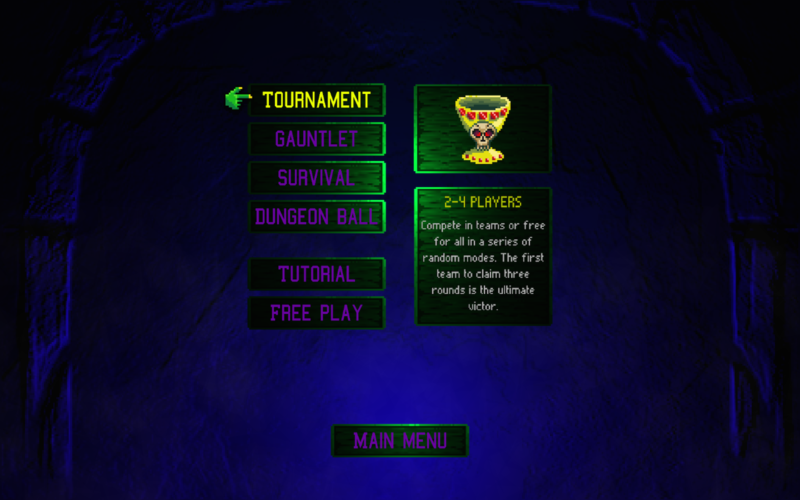 You'll see standard deathmatch mode, where you're just trying to get more player kills than your opponents' team. There's a flag race mode, which requires you to locate numbered flags, then tag each flag in order, scoring one point each time you complete the cycle. Capture the flag is particularly entertaining, since it demands more interaction between teams, since you'll need to kill any opponent that picks up your flag in order to score a point by collecting theirs. 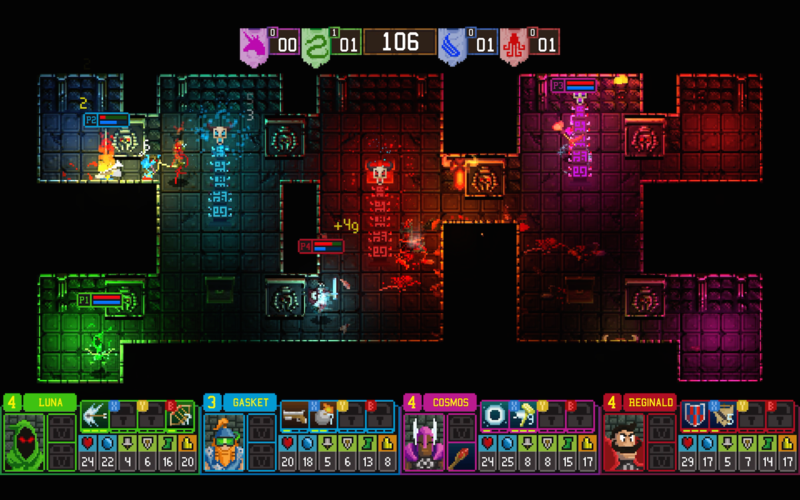 Dungeon League is one of those games that you'll find infuriating if your opponents are strictly better than you, and find endlessly entertaining if you've got the leg-up on the player skill front. The learning curve isn't too steep, though, so it might take a couple of rounds for the competitors' to get onto an even playing field, but seems to level out in almost all groups. The variety of characters and skills keeps things interesting, even over a longer session.